This blog is about staff engagement and how we can use modern digital learning to improve it. eLearning has evolved in recent times and your staff need and want better and more flexible options for training and development. But most of all, your staff want a great manager! Why put up with low staff engagement? Good managers are your key to growth, and the IT sector is guilty of promoting people who are mainly technically gifted into management roles. There is a significant link between staff disengagement and managers’ inability to excel at managing. IT technical staff really value their certifications being updated and maintained – taking this away from them hurts. 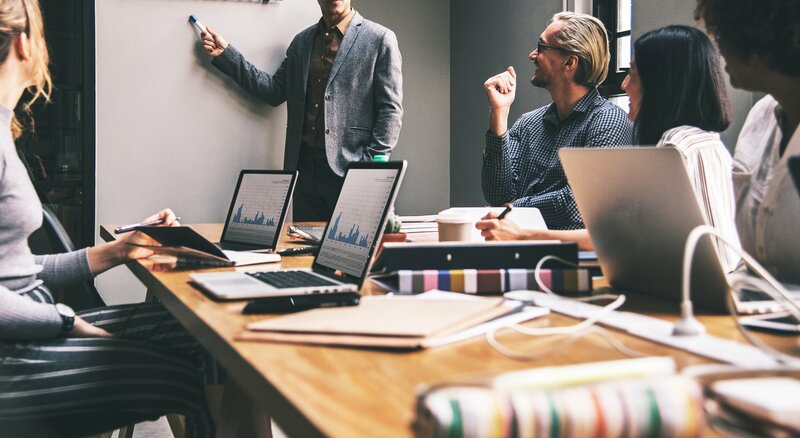 CxOs seem happy to live with low engagement and high staff turnover rather than invest in high-cost, low-impact training programmes that have little discernible ROI. deserves a good manager, and you can’t fix a bad one. So even if CxOs seem happy to live with low engagement due to high-costs of training - what if we could provide a solution? What if we could provide our staff with a low-cost-per-head, high-impact, self-service, modern and engaging solution that would transform how they learn? Let's outline the challenges this type of solution could address. This is the most important benefit of a new solution. Imagine that all of your managers were aligned to the company strategy, to the annual and quarterly goals. Imagine that each team had a great manager who could motivate, be assertive to overcome problems, build a culture of accountability, form trusting relationships, and make tough decisions for the good of the team and the company. By providing our good managers with a toolkit, resource centre and knowledge-sharing ecosystem – a place to come and learn, share experiences and hone skills – we can develop a consistent approach to management styles across the organisation. 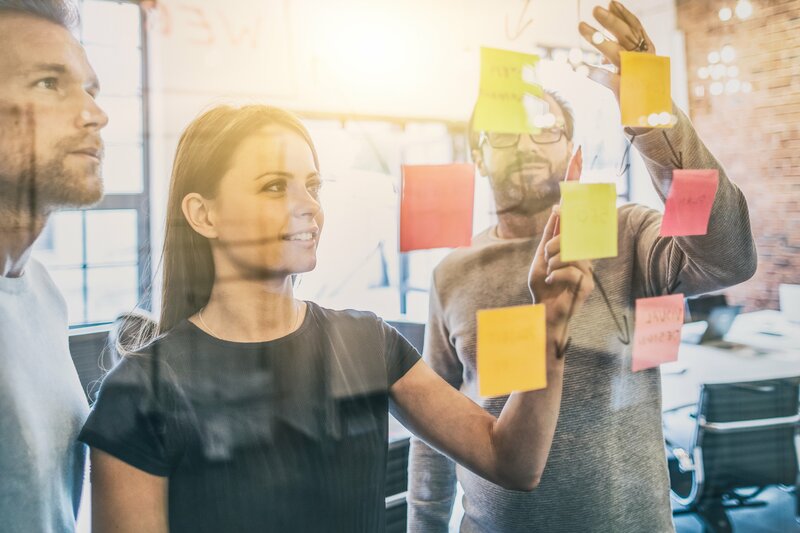 Communicating company goals, aspirations and targets becomes easier, and a transformational effect on employee engagement is produced. IT professionals (techies, not software developers) really value achieving vendor and industry certifications. CCNAs, CCNPs, CCIEs, ITIL, PRINCE2, PMI, VMware, CEH, CISM, CompTIA, MCP, CISSP, CCSP, AWS, Business Analysis (to name but a few) – such certifications are meaningful to our teams. Certification is an important part of IT professionals’ working lives, and for most IT companies it is important to maintain certifications. Even for other sectors, certifications can play a vital role. Paying for training and certification does present a problem, as it can seem like an endless drain on financial resources, and for what? Time out of the office attending courses with very little tangible sign of a return on investment. In fact, I would suggest that the years of paying for endless high-end, expensive technical training courses are over; the problem is, we collectively do not know what to replace them with. The good news is that, as with everything online, there are plenty of new and modern options for us to consider. The aim is to achieve high-impact, low-cost-per-head replacements to the traditional classroom solution. 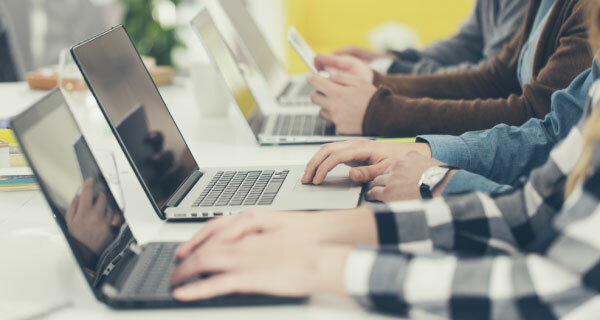 A modern learning ecosystem can be easily populated with thousands of self-service technical courses and resources that will cover the vast majority of technical certifications. These courses and resources can be mapped to job roles or departments, making them more specific and pertinent to the end user. The content is mapped to certifications and features other benefits, such as study guides, test preps and access to remote mentors/experts. The goal in this approach is to make classroom training an exceptional event that has to be justified, clearly demonstrating why the business needs it and used only if eLearning does not exist for that particular topic. Even where an exceptional classroom option is required, many vendors are offering live online options that are shorter in normal duration and at least remove the cost of travel expenses. You may or may not have heard about the 70:20:10 model describing how most learning takes place in today’s organisations. It suggests that 10% of all learning takes place in a formal setting (a classroom or a formal eLearning course), 20% through semi-formal coaching and mentoring, and 70% on the job (asking your colleague for help). If we use this model as a rule of thumb, then why do we as organisations spend most of our time, effort and money on just the 10% – formal training? Why wouldn’t we facilitate other learning experiences that support the process of people learning from others? Again, the good news is that the modern learning ecosystem can do just that. To me, it is about creating a great environment where learners are happy to spend their time consuming optional layers of learning services. 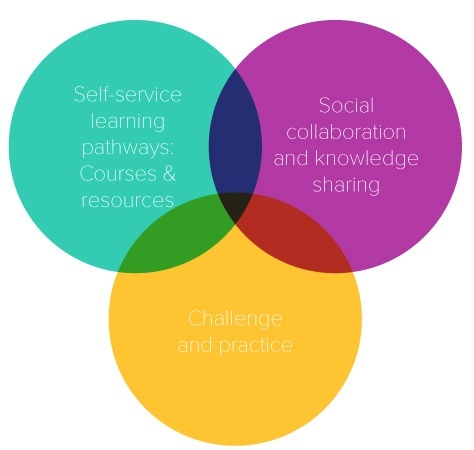 The first layer or service is the formal courses and resources that are mapped to roles or competencies in succinct and pertinent learning pathways. We then need to start thinking about extra layers; the modern ecosystem should help us create new and exciting solutions that engender the 20% and 70% of learning together. Think of facilitated learning communities, #tag events on a given topic, user-generated content (where learners are recording their own experiences), and topic-based curated content (wiki or other). There is no real limit to the layers of services we can develop using modern API development - If we can dream it, we can build it. Adopting this approach, we can challenge the status quo of external classroom training with an engaging alternative – one that staff will be delighted to participate in. There is no limit to the types of content we can bring together into logical sequences. The success of each will lie in creating a great user experience, a place where learners are happy to be, mimicking the great experiences that they have on the web in their personal lives. I have repeatedly used the words ‘a learning and sharing ecosystem’; however, this technology set should really be called a ‘learning, sharing and communication’ ecosystem, as the potential application of the technology blurs the lines between all three. Nowadays you can use your smartphone to record a message from the CEO to an acceptable standard. In the learning, sharing and communications ecosystem, it is equally as easy to publish that video onto a mobile app with a short quiz that can be tracked and/or gamified. There are so many ways to use the toolset for multiple applications, and we must understand how to derive the best benefit.